You are currently browsing the tag archive for the ‘Social Bat Watch Picnic Turrella Reserve’ tag. 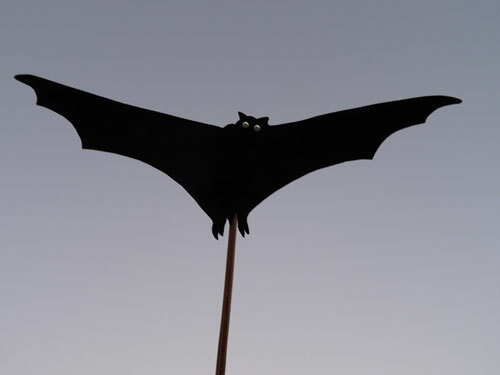 The Wolli Creek Preservation Society is holding their annual ‘Bat Watch’ Picnic again. It is a great evening outing to have a picnic, then watch the Grey-headed flying foxes head out in search of food. Personally I think it is a beautiful sight. TIME: 6.30pm – 8.30pm. There will be ‘batty crafts’ for the kids from 6.30pm. BRING: You, your family & friends, food & drink, something to sit on & insect repellent because the mosquitoes can be bad.